Treasury Wine Estates (TWE) has announced a joint venture with Trebuchet Logistics to manage the company’s Australian domestic and export warehousing, distribution and logistics. TWE Global Director Logistics Tim Ford says under a new 4PL model Trebuchet Logistics will contract 3PL providers to manage all elements of the supply chain. He says the 3PL providers will manage handling, storage, transport and IT requirements to deliver wine to customers and consumers in Australia and to export markets. "Trebuchet Logistics will independently manage the end to end logistics network from raw materials through to domestic and export customer deliveries, for all TWE Australian produced and imported products," Ford says. 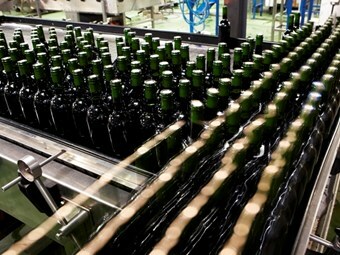 Ford says the model is the first of its kind in the Australian wine sector. "You hear people talk about 4PL models all the time, the difference with this is it’s a genuine asset-less 4PL business," Ford says. "The business will have people, a management structure and an IT platform that integrates with multiple 3PLs and manufacturers, and that is it." "Whereas the other 4PL models in the market today come with providers with their own warehouses and their own transport, and at the end of the day they are always going to try to leverage their own assets first, as opposed to set up what is right for the total network." Ford says the new approach to logistics is part of a strategy to optimise our global supply network. "The main reason that we believe the 4PL model was right for us is that as a standalone supply chain we can continuously improve and take small costs out year on year," he says. "By setting up a genuine 4PL model we believe that opens up the opportunity for collaborative logistics with other organisations, who won’t necessarily want a contract direct with a manufacturer," Ford says. Trebuchet has been our 4PL partner in the Nordics since 2008.